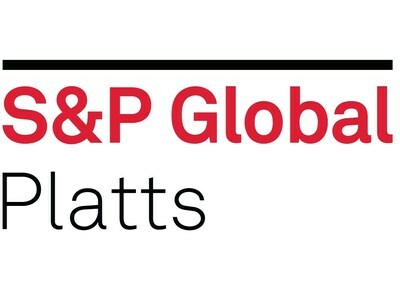 HOUSTON, Feb. 4, 2019 /PRNewswire/ -- S&P Global Platts ("Platts"), the leading independent provider of information, benchmark prices and analytics for the commodities and energy markets, has launched two new daily spot physical price assessments for South American corn. The two assessments, as announced by subscriber note in January, will reflect the daily traded or tradable value price of cargoes free on board (FOB) at the Santos port for Brazil and FOB Up-River for Argentina. Sophie Byron, senior managing editor for the Americas agriculture pricing team, S&P Global Platts: "We are pleased to be bringing independent price assessment processes to these important markets, especially at this important juncture, when there is clear advancement of the role that Argentina and Brazil are playing in satisfying global corn demand, and given the heightened focus on agricultural commodities information needs amid the US-China and global trade war tensions." The new assessments augment S&P Global Platts' pre-existing suite of agricultural price assessments and complement its coverage of key export and import regions for international corn and grains trade flows. To view graphics, click this graphics link. Argentina and Brazil's market share of the international corn trade flows has more than doubled in the last 10 years. Pete Meyer, head of grain and oilseed analytics, S&P Global Platts: "In 2009 the global corn export market totaled approximately 80 million metric tons, of which Argentina supplied 12.5% while Brazil was not even considered a 'major exporter' by the US Department of Agriculture at the time. Much like soybeans, the corn export market will likely double that size in 2019, with Brazil and Argentina contributing identical amounts for a combined 35% share, reflecting growth as impressive as that in soybeans. We expect the attention on corn and soybeans, the exports of these two countries, and the implications to global flows and pricing to grow, with any key changes wielding market-moving potential." The new S&P Global Platts South America corn assessments will reflect cargoes of 60,000 metric tons, plus or minus 10% operational tolerance, and will meet, respectively, the Brazil's National Association of Grain Exporters (ANEC) corn specifications, and the Argentina assessment will reflect the Grain and Feed Trade Association (GAFTA) grade 2 corn specifications. Assessments will take into account each country's export market seasonality and will be quoted as cent-per-bushel differentials or basis, as well as US$-per-metric-ton ($/mt) values, using the settlement value of the CBOT corn futures contract. Full details of the S&P Global Platts price assessment methodology are available here.